Please park in the student parking lot on the north side of the building and come in through the breezeway awning. The Keynote address beginning promptly at 8:30 in the morning with George Couros. Please stop at the registration table when you arrive to sign in to ensure that you get professional development credit. All sessions will be filled on a first come, first seated basis. Please remember to bring your laptop, iPad, or other device to use at the conference, along with your power cable and charger. Lunch will be on your own beginning at 11:30. A list of restaurants is provided on the Chamber of Commerce website. 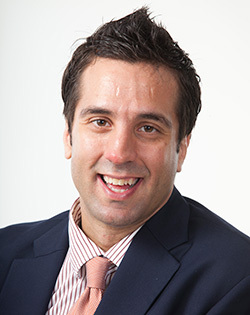 George Couros is the Division Principal of Innovative Teaching and Learning for Parkland School Division and an Innovative Learning and Leadership Consultant. He has worked with all levels of school from K-12 as a teacher, technology facilitator, and school based administrator. He is a sought after speaker on the topic of innovative student learning and engagement and has worked with schools/organizations all over the world. George is also the creator of Connected Principals, the founder of Connected Canada, as well as the School Admin Virtual Mentor Program (#SAVMP). His focus is to help organizations create optimal learning environments for innovation within schools. Although George is a leader in the area of innovation, his focus is always the development of leadership and people and what is best for kids. He uses humor as a way to connecting with all of those that he works with. His presentations are known to be both informative and entertaining, yet creating an emotional connection that helps people move to the next level. His mix of research, personal stories, and practical ways to implement new learning help participants feel comfortable in taking risks in their own learning. 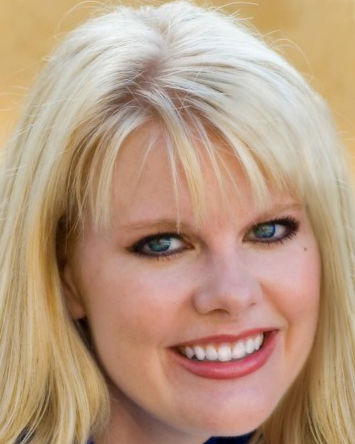 Kasey Bell is an award-winning digital learning consultant with a passion for technology and learning. Kasey offers engaging staff development for all levels of educators, specializing in training, presentations, keynote speaking engagements, and consulting. As a skillful facilitator, Google Certified Teacher and authorized Google Education Trainer, Kasey has led a variety of instructional technology trainings, including presentations at ISTE, FETC, TCEA, Google Summits, and iPadpalooza. Kasey was recognized as a finalist for the 2015 Instructional Technology Specialist of the year by TCEA. Kasey is co-leader of the North Texas Google Educator Group. She is also an EdCamp organizer, and has also been featured on edtech podcasts, including House of EdTech and Coffee with a Geek. The Shake Up Learning website and blog provides educators with instructional technology resources, tips and tricks, and classroom technology integration ideas. Here you will find great resources for Google apps, including guides and cheat sheets, mobile learning and apps, iPad tips, and social media tips for educators. ShakeUpLearning.com, was recognized as a Must Read EdTech Blog for 2014, and a 2014 Edublog Awards Finalistfor best new blog and best edtech resource blog. She also received an honorable mention for the Digital Innovation in Learning Awards given by EdSurge and Digital Promise, in the “Sharing is Caring,” category, for her work sharing educational resources on her blog and across social media. In addition, Kasey’s resources and tips have also been featured on other blogs and websites including: Edsurge, Edudemic, EdTech Magazine, Emerging Edtech, and more. As a blogger, Kasey uses her blog to create and share original technology integration ideas, resources, cheat sheets, and more! Janet Corder of J2 Training is an educational technology consultant specializing in technology integration, BYOD implementations, interactive whiteboard technologies and mobile learning devices. She has over 30 years experience as a classroom teacher and instructional technology coordinator in Texas public schools and has also been an adjunct education professor at a local university. Her passion for assisting educators learn new strategies for successfully integrating technology into their curriculum has provided her with many opportunities to present at national, state and local conferences and in school districts throughout the United States. She has co-authored four books on technology integration and professional development. Janet served in various positions for the Texas Computer Education Association Board of Directors for several years and was awarded ISTE’s Making It Happen award given to leaders in educational technology.